Our friend, son of the late Rev. Tomas Swindell, was born at Great Yarmouth, in January, 1850, and joined the church in 1862, from which time his membership has remained unbroken. Yarmouth Primitive Methodism owes much to his influence and service. His knowledge of finance well fits him for the office of circuit steward which he has held since 1898. Mr. Swindell is energetic, enthusiastic, sanguine, and always master of the minutest details of church work. Many times he has been delegate to District Meetings and five times to Conference, and has just represented the Norwich District at the Mow Cop Centenary Camp Meetings. He is, too, a great servant of the town, being a member of the Town Council, chairman of the principal committees, deputy chairman of the Finance Committee, and a member of the Watch Committee, and was this year made a Justice of the peace. We rejoice in Mr. Swindell’s great influence for good and pray that his life may be made still more a source of blessing in the many days which we hope are yet before him. Theophilus was born in 1849 to parents Thomas Swindell and Hannah Witter. Thomas was a PM Minister. Theophilus was baptised on 10 March 1850 at Yarmouth, Norfolk. Theophilus was an accountant. For forty-seven years he worked for Messrs. Gurneys, which afterwards became Barclays Bank. 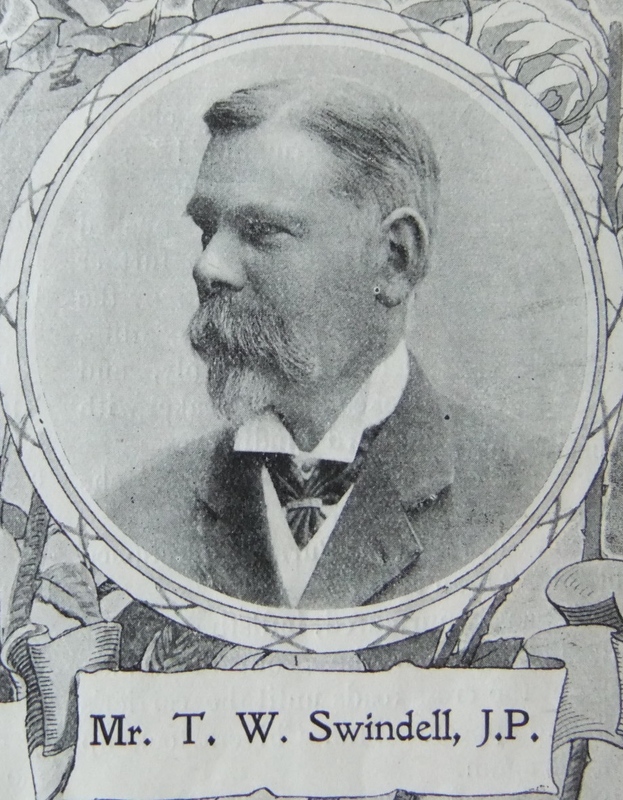 For fourteen years before his retirement he was manager of the Yarmouth branch. 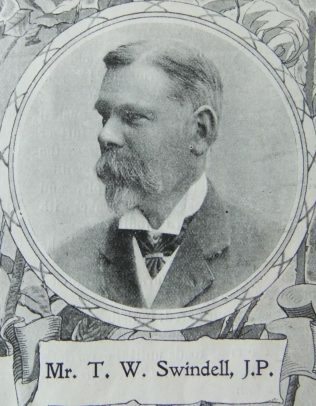 Theophilus became a town councillor in 1903. 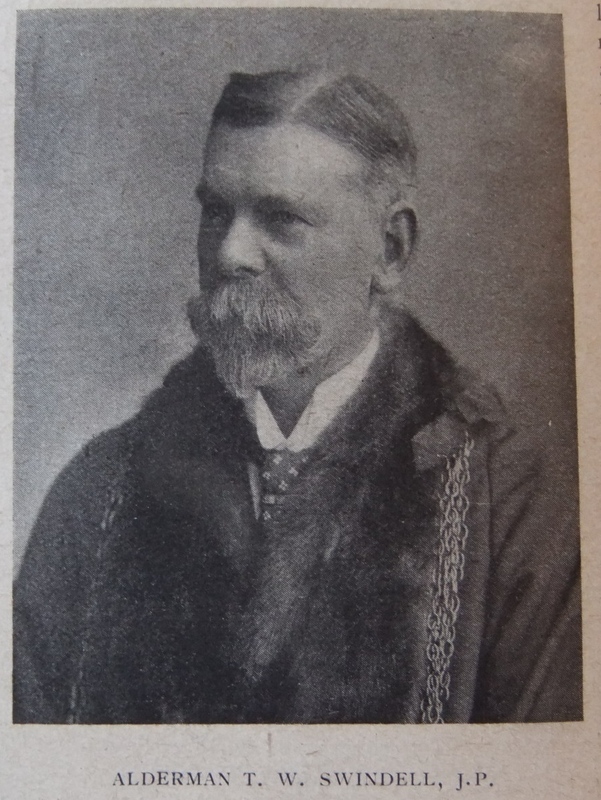 He was Mayor of Great Yarmouth in 1909 and became an Alderman in 1912. He was Life Governor of Yarmouth Hospital, a Director of the “Free press”, Director of the Royal Eastern Counties Institution, Governor of Great Yarmouth Grammar School, and also of the Girl’s High School, Trustee of the Yarmouth Municipal Charities, a member of the Licensing Committee, Chairman of the local branch of the British and Foreign Sailor’s Society, Chairman of Great Yarmouth Golf Club among many other public duties. Theophilus was also an active freemason. By 1922, Theophilus had attended Conference on seven occasions. He also served as District Missionary Treasurer. Theophilus married Harriet Elliott Stothart (abt1851-1921) in the summer of 1875 at Cambridge, Cambridgeshire. Census returns identify two children. Theophilus married Harriet Mabel Platten (1877-1973) in late 1924 at Great Yarmouth. Theophilus died on 22 November 1930 at Great Yarmouth, Norfolk.